Artists Gayle Pendergrass and Tom Chaffee, both ASU professors of art, have recently returned from Bulgaria along with Dr. Daniel Reeves, dean of the College of Fine Arts. The artists’ watercolor paintings have been placed on exhibit in the residence of the U.S. Ambassador to Bulgaria James Pardew, an alumnus of ASU. As part of the “Art in Embassies Program” established by the United States Department of State in 1964, Ambassador Pardew selected 18 paintings created by well known American artists including Wolf Kahn, John Singer Sargent, and Michelle Torrez. Two watercolor paintings by Pendergrass and one by Chaffee are included in the exhibit. A reception in the residence of Ambassador Pardew and his wife, Kathy, was held the end of June in honor of Chaffee and Pendergrass. Additionally, a catalog was published containing photographs and biographies of the many artists whose work is included in the exhibition. As the introduction to the catalog states, “… the Art in Embassies Program installs original works of art by U.S. citizens in the residences of U.S. Ambassadors all over the world, making American art more accessible.” The paintings include “Rice After Harvest,” and “Winter Wheat” by Pendergrass and “Fall Cotton” by Chaffee. These exhibitions along with works of art from museums, individual artists as well as other U.S. citizens, include both corporate and private collections -- all of which play an important role in the nation’s public diplomacy. 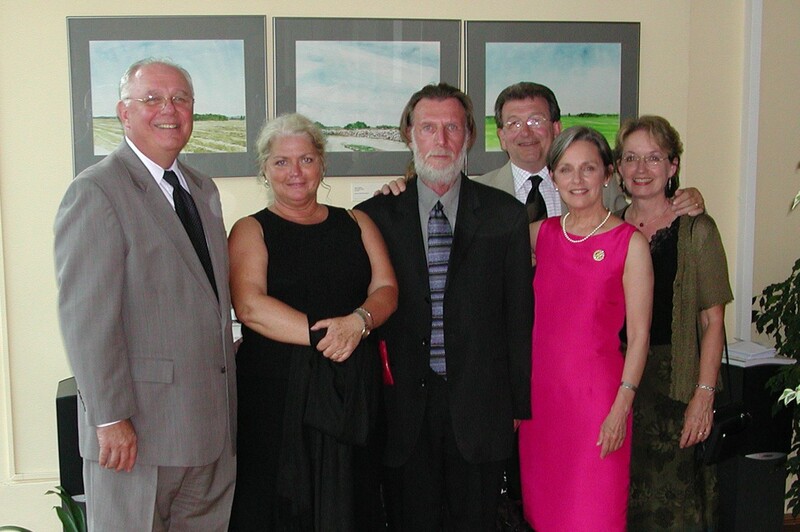 In addition to attending the reception held in recognition of the artists. Reeves and his wife, Pamela Myrose, along with Pendergrass and Chaffee toured the region surrounding the capital city, Sofia. 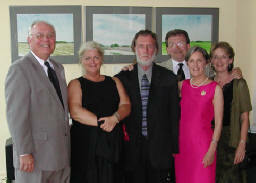 Reeves said, “Guests at the reception included visual artists from throughout Bulgaria. It was a wonderful international exchange. Many of Bulgaria’s most prominent artists, gallery directors, museum curators, educators and business leaders were among the approximately 200 people who attended the reception honoring Chaffee and Pendergrass. “While we were there, we met with the director of the Bulgarian Art Institute, and directors of various galleries as well as the President of the Bulgarian Arts League,” Reeves said. As a result of the meetings with members of the Bulgarian art community, they were able to formulate an artist exchange program between Arkansas State University and the country of Bulgaria. “Works on paper will be sent between the two of us. Our work will travel to Bulgaria for exhibit next spring, and their work will be on exhibit next summer in the Bradbury Gallery at ASU’s Fowler Center,” Reeves said, adding that they will develop a proposal to be acted upon this fall. “This is significant – our artists were included and the ambassador held a reception for them. There was significant exchange of ideas and views about art with the people of Bulgaria. It’s rare that this kind of thing happens,” Reeves said. The three watercolor paintings will remain on exhibit in the chancery during the ambassador’s appointment. There are approximately 170 ambassador residences throughout the world with many that exhibit original works by U.S. citizens in public gathering rooms. Ambassador Pardew graduated from ASU in 1966 with a bachelor of science in journalism and he was commissioned in the ROTC program. He received a master’s in political science from Loyola University at Chicago and later attended the Army War College. He was appointed ambassador to Bulgaria by former President Bill Clinton. In 1996, the ASU Alumni Association honored him as a Distinguished Alumnus.